Our guide on starting a bead store covers all the essential information to help you decide if this business is a good match for you. Learn about the day-to-day activities of a bead store owner, the typical target market, growth potential, startup costs, legal considerations, and more! What happens during a typical day at a bead store? As mentioned, bead shop owners have a variety of opportunities to generate income. The specifics of their days will be defined by how they decide to structure the business. Bead shops generally rely on the local population to support their business. With the right online marketing plan, you could reach crafters and bead enthusiasts across the country. Artists who make and sell jewelry, clothing, and costumes should also be included in your marketing strategy. How does a bead store make money? Bead shops generate revenue through the sale of their beading inventory. Items can be sold online, out of their home, or in a shop. Many entrepreneurs serve both retail and wholesalers’ needs, while others choose to focus on just one type of customer. What is the growth potential for a bead store? According to a Association for Creative Industries survey, crafters spend more $30 billion annually. Approximately 40% of that is earned from the sale of beads. While there is significant room for growth, new business owners are urged to carefully select their store’s location to avoid over saturation. What are some skills and experiences that will help you build a successful bead store? Industry leaders urge those first starting out to learn as much as they can about running a business, as well as the art of beading. There are a variety of online tutorials that would provide beneficial education and training. 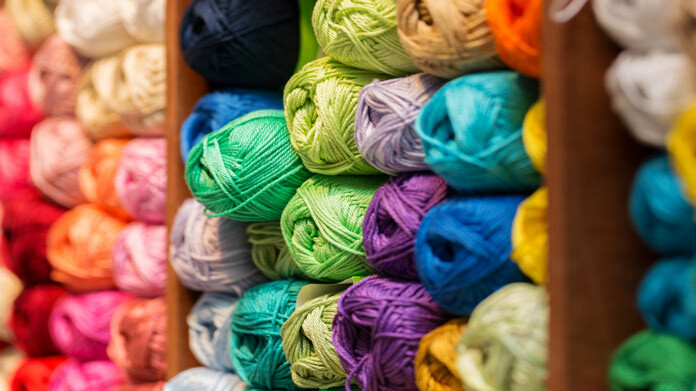 Local craft supply and fabric stores often hold regular workshops, which could expand your knowledge on the various elements of running such a business. Since hands-on experience is the best teacher, working in the industry prior to opening your shop’s door is strongly recommended. Caravan Beads is also a great educational resource. They offer a 2-day seminar, where students learn about everything from pricing to marketing, and even choosing the right POS software. To realize long-term success, it is also important that you possess a certain level of artistic talent. This, combined with strong interpersonal skills will assist you in interacting with customers and suppliers. Many of your clients will be novice hobbyists who will look to you for education and guidance. What are the costs involved in opening a bead store? While it is possible to start out running your bead shop out of your home, this limits the number and type of customers you are able to market to. Entrepreneurs who have realized more rapid success recommend a budget of $100,000 to $248,000, depending upon the specifics of how the business is structured. Smaller shop owners report a budget as low as $50,000, citing location as being the biggest driver of their success. Building - The size of building you decide to purchase or lease should match your business goals. Make sure it caters to the needs of your target audience and that the area is not already saturated with your product. Business/Inventory management system - Many new business owners are tempted to forego this investment, deterred by the price tag. Consider opting for a web-based solution, where customers are charged an affordable monthly fee. 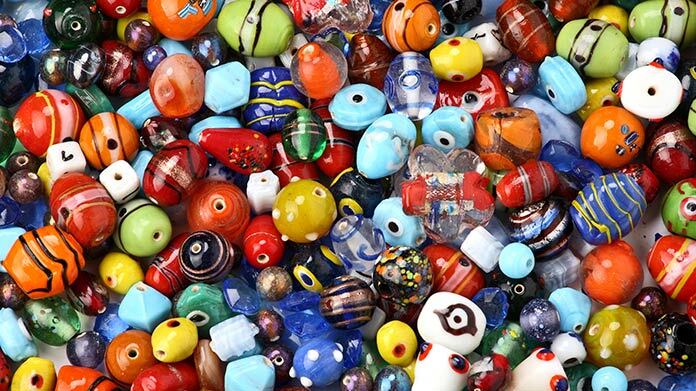 Inventory - Your initial inventory investment should include a wide selection of beads. Having your shelves stocked with both popular and unique beads will afford you the opportunity to get to know your clientele. Armed with this knowledge, you can then start to add more to your shop’s collection. Website - Hosting an eCommerce site will open your business up to a whole new network of potential customers. Business tools - Office supplies, furniture for your shop, displays, and organizing bins. There are a number of franchising opportunities in this industry. The average franchise fee is $25,000, but many have found that the education and guidance they received was invaluable. If given the opportunity, purchasing an already established business is also a great strategy. What are the steps to start a bead store? Form a legal entity. Establishing a legal business entity prevents you from being personally liable if your bead store is sued. Open a business bank account. A dedicated checking account for your bead store keeps your finances organized and makes your business appear more professional to your customers. What are some insider tips for jump starting a bead store? Consult with your local chamber of commerce prior to opening your online store to ensure you handle the collection of sales tax properly. To ensure a profitable website, make sure you provide great photos and descriptions of your products, and that you clearly define your store policies. Joining the Association for Creative Industries offers access to discounts, suppliers, education, and networking opportunities. Avoid suppliers that offer “one-stop shopping.” To properly supply your shop, you will need multiple suppliers and a variety of beads. Conduct thorough research on any supplier you are considering. Research the population in the area you plan to open up shop. If the area does not have between 150,000 and 250,000 people within a thirty minute drive, consider other, more populated areas. Plan on putting a majority of your profits back into inventory for the first two to three years. 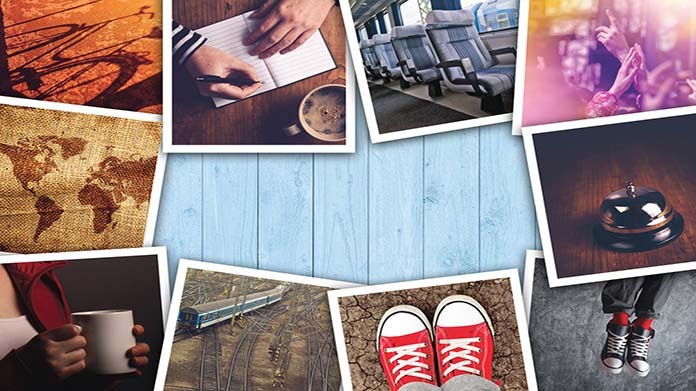 Industry leaders have found the most success with a diverse marketing plan. This should include advertisements in magazines that cater to your target audience and event/team sponsorships. Before taking on a sponsorship, make sure you are investing in something that will offer you exposure to potential bead shop patrons. Booths at arts and crafts fairs is also an effective way to boost interest, particularly because these events often have a mix of local and out-of-town guests. Technology is another great resource for marketing. Social media platforms help reach a broader audience and keep current customers informed regarding new shipments and specials. Ask customers for their email addresses and periodically send out exclusive coupons. Delivering superior customer service each time someone walks through your doors or places an order online is critical to your business’ success. Many consumers will pay a little higher price to know they are working with someone who cares enough to go the extra mile. Discount cards are also an effective way to bring new customers in and ensure your current ones keep coming back. In this industry, it is important that you always remain passionate about what you do. To avoid burnout, yet still remain open during peak business hours, consider opening your store with at least one employee on staff. As the owner, you will be required to wear many hats. Your business will suffer if important tasks slip through the cracks. A bead store business is generally run out of a storefront. Businesses operating out of a physical location typically require a Certificate of Occupancy (CO). A CO confirms that all building codes, zoning laws and government regulations have been met. Before leasing, confirm that your landlord has or can obtain a valid CO that is applicable to a bead store business. Review all building codes and zoning requirements for your business’ location to ensure your bead store business will be in compliance and able to obtain a CO.
Bead prices vary, depending upon the type, size, quality, and material. Shop owners recommend going 25-40% higher than an item’s cost. Some report as much as 100% over inventory cost. The key is to remain competitive without undercutting the competition, which only stands to damage the entire industry. What are the ongoing expenses for a bead store? Your primary expenses will be payroll, rent/mortgage payment, and restocking of inventory. If a website is part of your portfolio, there will be site hosting and management costs associated with that, which are typically paid either monthly or annually. To ensure you remain on top of the latest trends, it is also recommended that you attend conferences and join associations, such as the Association for Creative Industries. This will provide powerful networking and marketing opportunities that might otherwise be out of your reach. How much profit can a bead store make? With the right vision, marketing strategy, and hard work, a bead shop has the potential to generate significant profits for new business owners. Your profits are directly tied to the size and type of operation you envision, ranging anywhere from $38,000 to $75,000 or more. Shop owners reporting the highest profits do not rely solely on the sale of beads. Some are drawn to the artistic side, making and selling their own beads. Additionally, hosting jewelry parties is a very effective strategy. The key is to host a variety of classes/parties that target specific skill levels and projects. Children’s birthday parties is another great revenue generator. 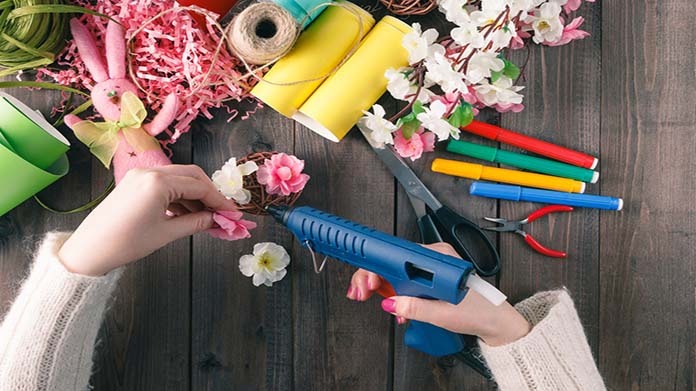 Many store owners have also found success selling project kits for novice crafters.